American Bankers Insurance Company (ABIC) does not have “Health” in its company name, and it no longer sells health or life insurance. 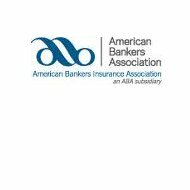 Miami, Florida-based American Bankers Insurance Company was started in 1947, and in 1980 became a part of holding group American Bankers Insurance Group, Inc. (ABIG) along with American Bankers Life Assurance Company (ABLAC). Still looking for health insurance? Enter your zip code to find health insurance rates in your area. The American Bankers Insurance Group used to specialize in both health and life insurance coverage, but in 1999, American Bankers Insurance Group became a part of Netherlands-based Fortis, Inc. The company is now a subsidiary of Fortis, operating under the Assurant Group service mark, and selling flood insurance. At this time, Assurant’s only health insurance is dental, vision, and disability insurance. Assurant Group provides specialty risk management products and services, including wireless and mobile device protection, extended service contracts on items such as electronics and appliances, extended auto warranties, “preneed” insurance, and credit insurance. In case the term is new to you, “preneed” insurance is a form of life insurance that funds the predetermined expense of a funeral. This specialized insurance is appropriate if all you wanted life insurance to do was pay your funeral expenses. Assurant has more than 4,000 employees worldwide. The company has operations in eight U.S. states, as well as 12 other countries, including the United Kingdom, China, Chile, Ireland, Canada, Argentina, Mexico, and Spain. If you are looking for a job with American Bankers Insurance Company specifically, you can try to apply directly to the Miami office. You may also look through their searchable job banks to see what is offered in the Miami area. For professional/managerial openings, go here and for call center/service center opportunities, go here. As you might assume from an insurance company, Assurant offers a generous benefits package to its employees, including its insurance coverage. The company provides medical, dental, life, and disability insurance, as well as basic life insurance and accidental death & dismemberment, and short-term and long-term disability. There is a 401K matching plan, a retirement plan that is 100% vested after three years of employment, flexible spending accounts for both healthcare and dependent care, an employee stock purchase plan, tuition reimbursement, and a matching charitable giving program. Assurant, American Bankers Insurance Company’s parent company, offers a comprehensive online claims portal for both client employers and their members. This website makes it simple and easy to file an initial claim with the company. The portal explains which type of claim is necessary and what form(s) will be needed to file the claim. In addition, there is information on what other proof or records will be needed in order to complete the claim. Assurant also maintains three call centers, in Indianapolis, Kansas City, and Minneapolis, if you would rather speak to a live agent instead of using the online portal. The company is definitely reachable for any problem or question you may have on your insurance policy. Speaking of online tools, enter your zip code into the online box on this page to see health insurance quotes that fit your needs.